Committed to maintaining the highest level of service and workmanship, since 1959. You can tell a good repair, when you can't tell it's been repaired. 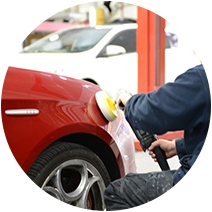 We can service all of your needs, from a small repair to large accident damage. Stylemaster Panels has always been a service-oriented business and has been providing quality body repair and painting services for over half a century. Quality and service is an everyday procedure at Stylemaster with membership to the VACC (Victorian Automobile Chamber of Commerce). Specialising in Volvo, VW, Lexus, SAAB, BMW, Mercedes Benz and BMW, Stylemaster is without question, a prestige motor body repairer. 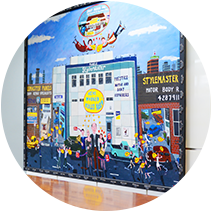 Three generations of Stewarts have been involved in building the service and reputation of Stylemaster panels. 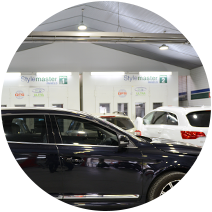 From workshop in Richmond, Stylemaster Panels provides a repair facility that is clean, environmentally friendly with precision car straightening equipment to factory specifications. Need help? Leave a message or call us today. Voyager Group have a wonderful long standing relationship with Stylemaster Panels for more than 15 years. Phil and the Stylemaster team are honest, reliable and their workmanship is of the highest quality. We proudly continue to utilise Stylemaster across our entire fleet including unique luxury imported vehicles. Stylemaster is really helping all of us to make collaboration a differentiating factor to win is really helping all of us. We have known Phillip and Wendy Stewart at Stylemaster Panels for over 25 years. They are by far the best repairers in the business, honest straight-talking and fantastic on customer service. I would be happy to recommend Stylemaster to anyone repairing their luxury cars like BMW, Mercedes etc. 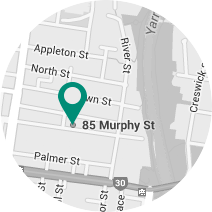 Conquest Sports (Aust) Pty Ltd.